Getting started with Enterprise Architecture can be surprisingly quick and easy. 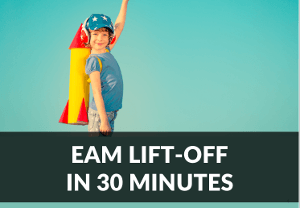 Even if you have never used an EAM tool before or have been using a different solution, you will be up and running in half an hour. In our free webinar we will show you how to manage the most important EA use cases: from Application Portfolio Management, to Technology & Risk Management and Integration Architecture Management. We will also demonstrate how to navigate around LeanIX, the data model LeanIX is based on and its essential functions. You will see how easy it is to get going without any prolonged training – we will cover all major features in 30 minutes. In our live demo we will show you how the most important EA use cases are represented in LeanIX. produce Reports that demonstrate the impact of your IT landscape on your business. So just submit the form at the right and instantly get the access to the webinar!